The Herbert C. Bonner Bridge, which carries N.C. 12 over Oregon Inlet between Hatteras and Bodie islands, is well past its design life and is being replaced with a new bridge that will better withstand its coastal environment. Through the use of high-durability concrete, stainless reinforcing steel and other engineering features, the new bridge is designed to have a 100-year life span and will provide more options for navigation under the bridge. Design aspects of this Design-Build project to be discussed include precast bridge elements, large precast pile installation and segmental box girder design, all in a marine environment. 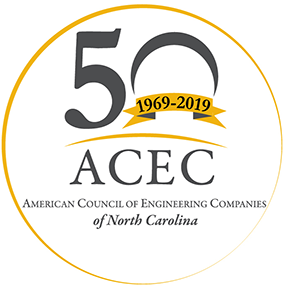 Registrations are due in the ACEC/NC Office by Wednesday, September 26th. A late registration fee of $50.00 will be charged for registrations after September 26th. Cancellations must be received by end of business on September 26th in order to receive a refund. Please send a substitute if you register but are unable to attend*. *No-shows will be charged full price.